Grafik Machinery International is a renowned technical wizardry brand operating in the printing industry since the year 1989. Owing to our dedication to serve the clients with only innovative, novel and unique solutions, we are offering a wide spectrum of Fully Automatic Coating Devices, Carton Pasting Machine, etc. In order to fulfill the expectations of our clients as per their exact requirements, we have been in delivering quality solutions at reasonable rates in the respective field for almost a decade. Having acquired immense expertise and in-depth industry knowledge to serve our clients with better than the best products. Today, we are a highly reputed Screen Printing Machines manufacturer, supplier, exporter and distributor with a unique collection of world class machinery. The product portfolio of our company includes Fully Automatic Coating Devices, U.V. 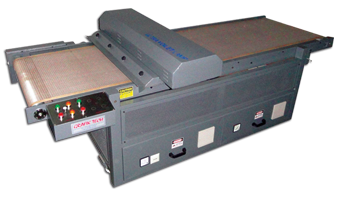 Curing Systems, Carton Pasting Machine, Carton Folding and Gluing Machines, Cache Cover Folder Gluer, Screen Printing Machines, etc. Continuous research and high performance level are the distinguishing aspects to devise the most and best for all types of printing problems at cost effective logical solutions. 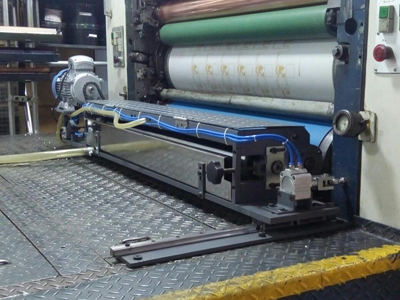 To fulfill our mission of designing and developing unmatched quality Carton Pasting Machine and allied products, we are supported by a team of skilled and proficient engineers who possess vast knowledge and experience in the respective field. Our professionals assist us in catering to the exact requirements of our clients surpassing the extremest levels of their expectations. This has enabled us to achieve a client base not only across the country, but also the international boundaries, especially in the Middle East and South. We export almost 25% of our total products like Screen Printing Machines, Carton Pasting Machine, Fully Automatic Coating Devices, etc. to the international market and engage ourselves as importer of distinguished quality Cutting Sticks for all types of Ink Cleaning Knives for Printing Machines, Paper Cutting Machines and Ultra Violet Lamps from USA. The Turnkey Projects undertaken by us largely satisfy the diverse needs of clients. Aar Aar Printers, Mumbai: Print Plus Coat on Heidelberg SORSZ. Jaiswal Art Press, Naraina, New Delhi: Print Plus Coat on Heidelberg SORS. Grafik Machinery International India's quest for quality is the key behind its ultimate success in the industry. We believe that maintaining the highest standard of. Copyright © 2019-20 by GRAFIK MACHINERY INTERNATIONAL All Rights Reserved.